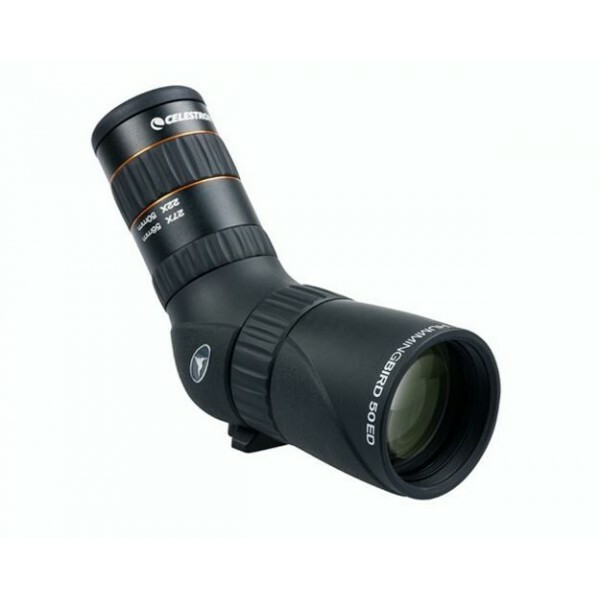 Lightweight spotting scopes are becoming more and more popular with birders and hunters, especially those who do a lot of hiking or backpacking. The Celestron Hummingbird is Celestron's first attempt to jump into the fray. Here's our in-house review of this micro-spotter. The Hummingbird is a pretty simple scope, so there's not much to it. 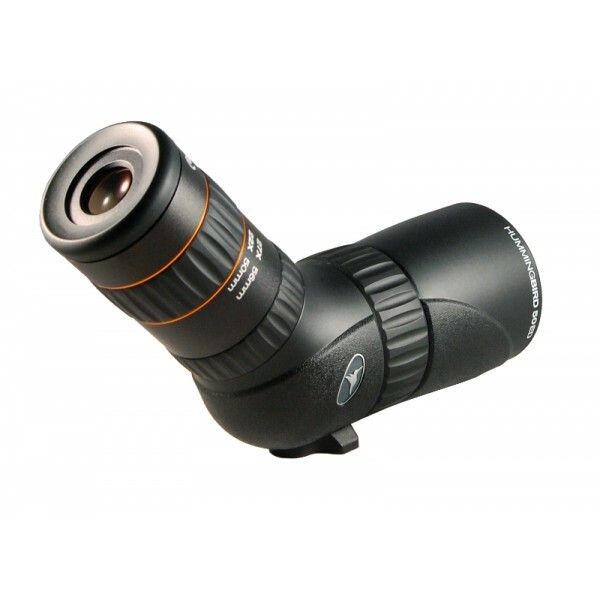 The eyepiece is builtin, with a 7-22x zoom on the 50mm model, and a 9-27x zoom on the 56mm model. Eye cups, zoom, and focus adjustment are all within tolerances, not too loose, and not too tight. Celestron's quality control has always been excellent, so no complaints here. 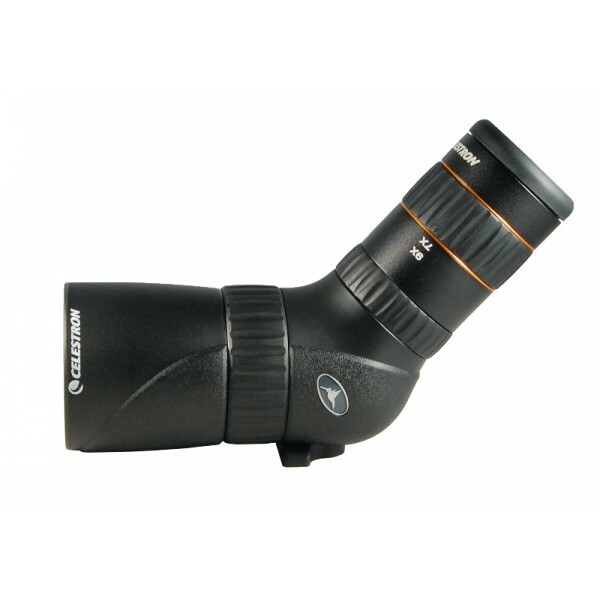 The Celestron Hummingbird includes a carrying case with - get this - a belt clip. This scope is so small that you can comfortably carry it strapped to your waist. Try doing that with a full size scope. If that's not quite your style, it also includes a shoulder strap. Lens cleaning cloth and manual are included as well. 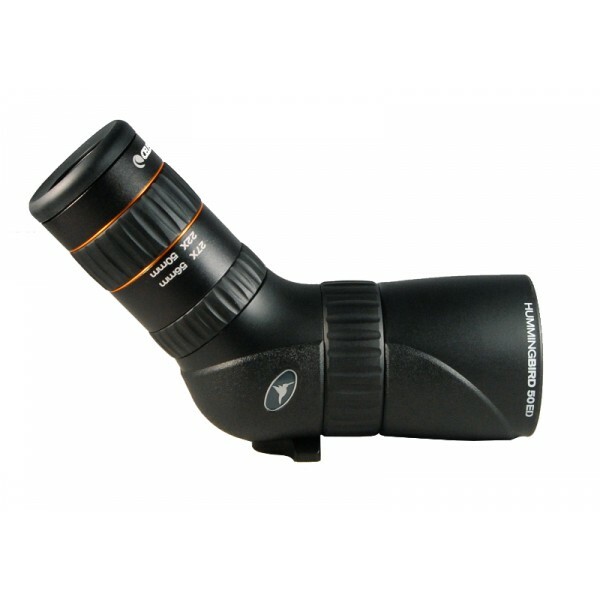 Lens and eyepiece caps are included, but they don't attach to the scope, so you'll probably want to leave them in the bag and use them when you store the scope. Very good! Color is true to life, we were not able to spot any bias towards cool or warm. Contrast and clarity are excellent, and sharpness continues almost all the way to the edge of the field. This is an ED scope, after all. We were able to spot a lot of detail at any range from 15-150 yards. 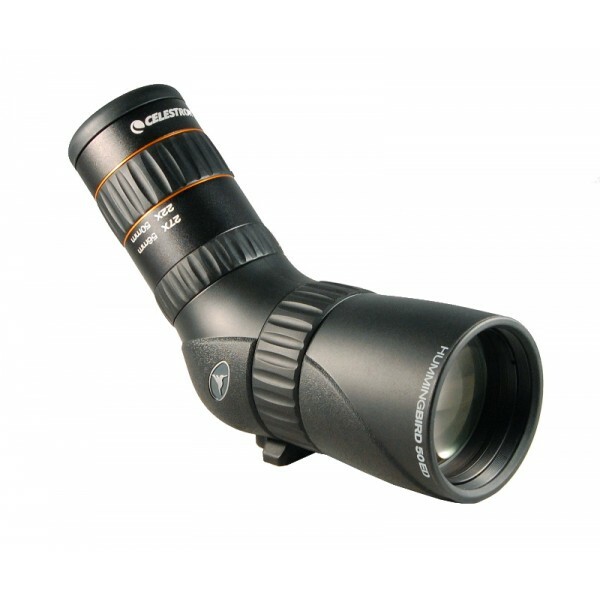 At any range or zoom, there is enough eye relief that you won't have to bury the eyepiece into your eye socket to get a full field of view. For the price of this scope, the optics are a huge win. 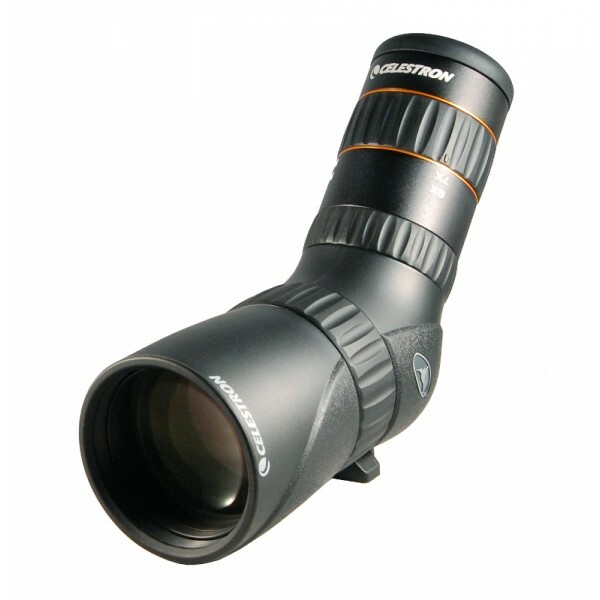 The one thing that really stood out to us when testing the Celestron Hummingbird is that its size and weight make it a very forgiving scope. We were able to use it on a windy day with a budget tripod, and it was very stable. At full zoom, views were clear and steady. We moved the tripod around with the scope attached, and there's so little weight that we barely felt it. You could conceivably put the scope on your tripod and leave it on all day. 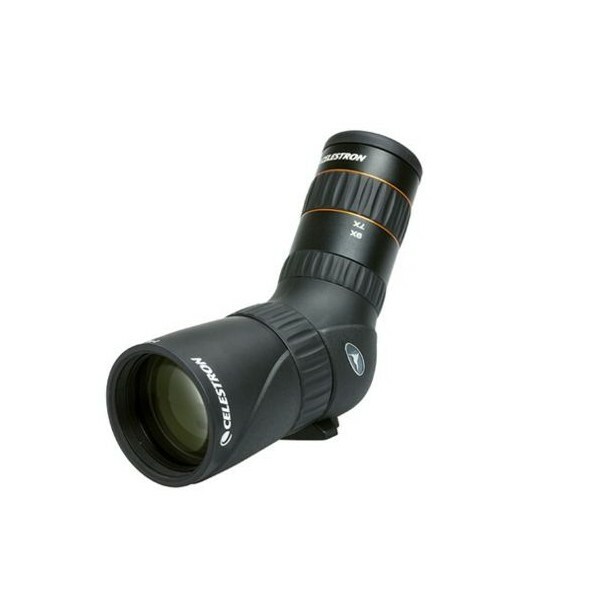 You'd expect to have to make some compromises in a compact spotting scope to get full size performance. 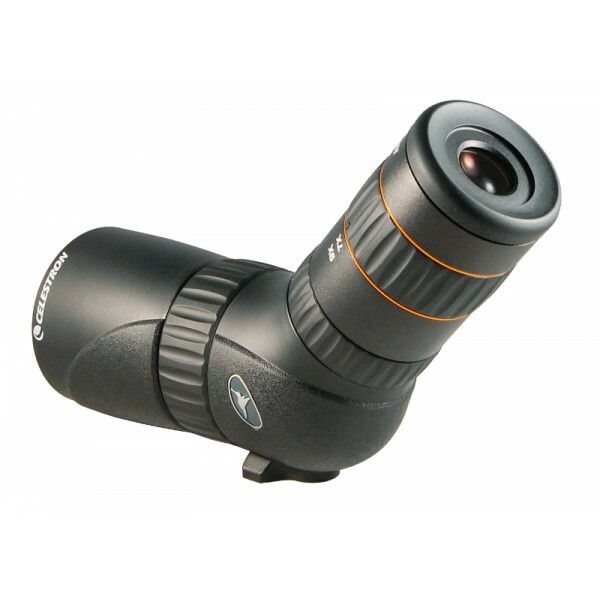 With the Celestron Hummingbird, you don't get removable eyepieces or attached lens caps, but you do get a lot of mobility and some pretty excellent optical performance. This is about as compact as you can get while still maintaining that level of viewing performance, so we're impressed.